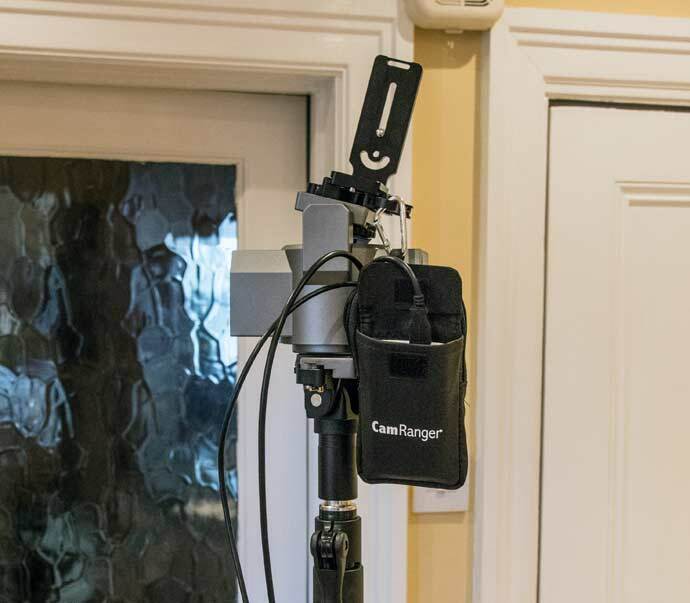 Keith looks at a relatively lightweight and portable solution to get your camera into an elevated location. 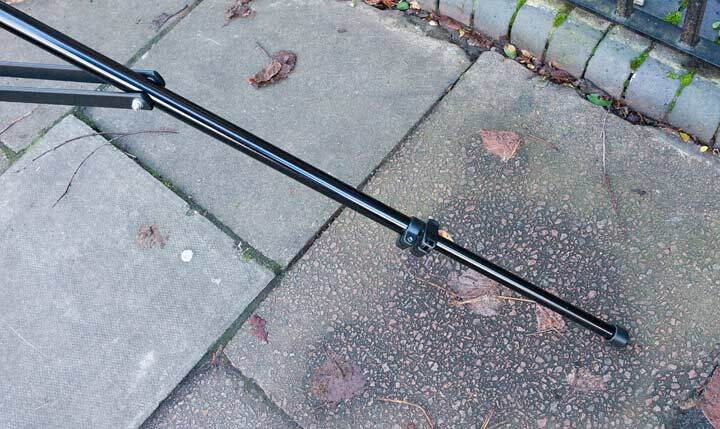 The Carbon Fibre MegaMast from Seaport Digital can take your camera up to 8.4 metres ~28 feet. 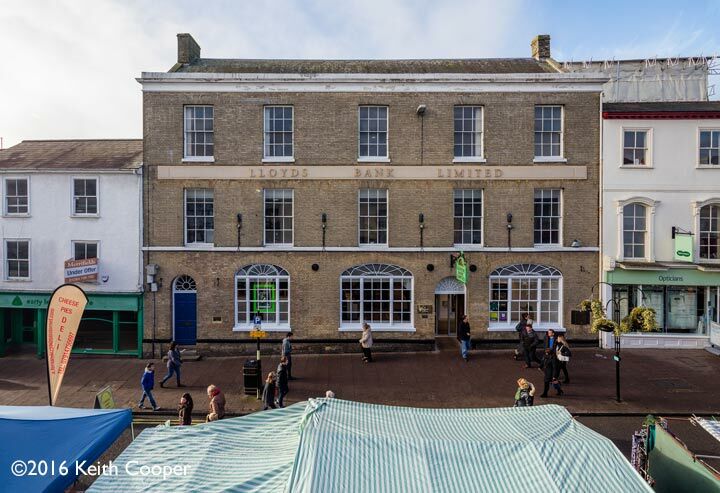 Keith looks at how easy it is to use for elevated mast photography in this initial review. 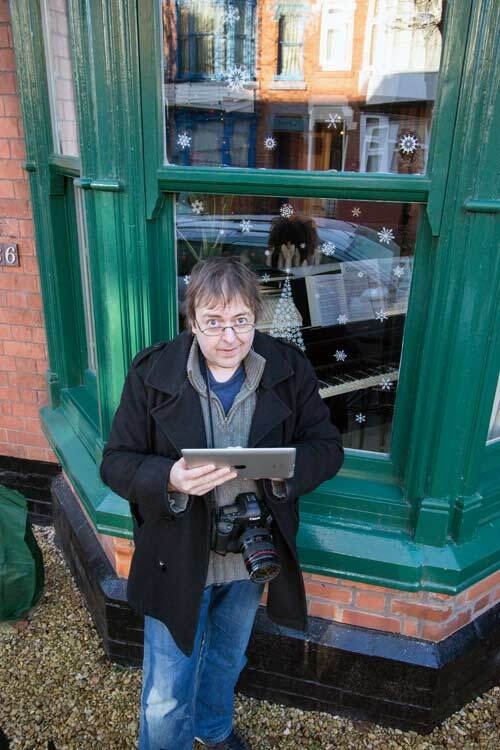 That’s him in the photo, far below, controlling the camera with the WiFi based CamRanger unit via the iPad he’s holding. 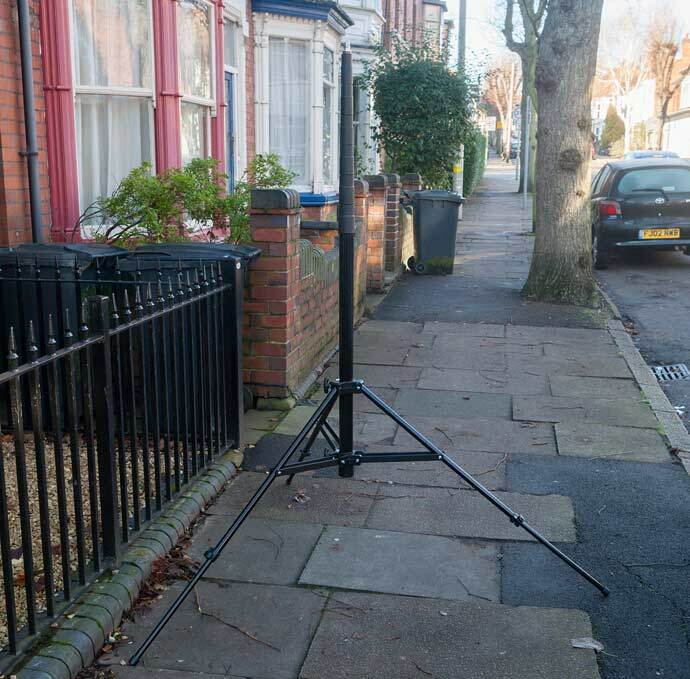 One problem I often encounter in architectural work is that I want my tripod to go up an extra foot or so. Indeed, I’m sure that if it did, then I’d sometimes want higher still. 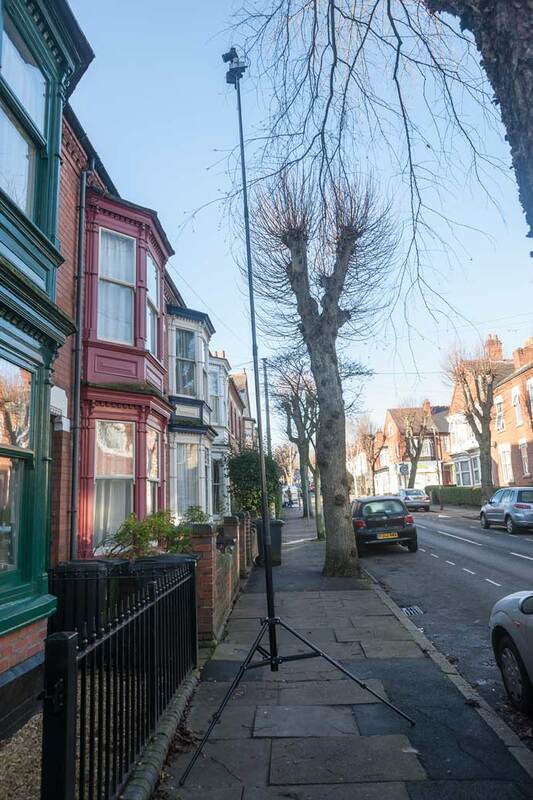 There are a number of fairly hefty elevated mast solutions available, but they often fit on the back of a vehicle or if stand-alone need a fairly strong assistant to move into place. 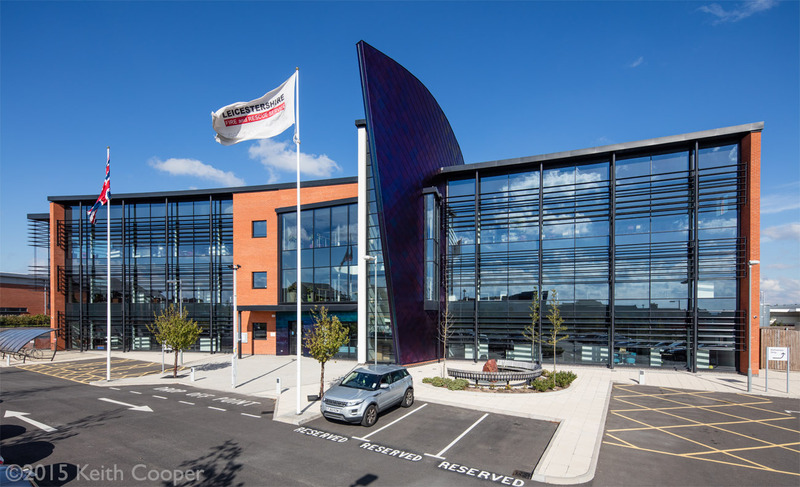 I was looking for a solution that was suitable for occasional use, that I could pop in the back of the car and have available on a job ‘just in case’. 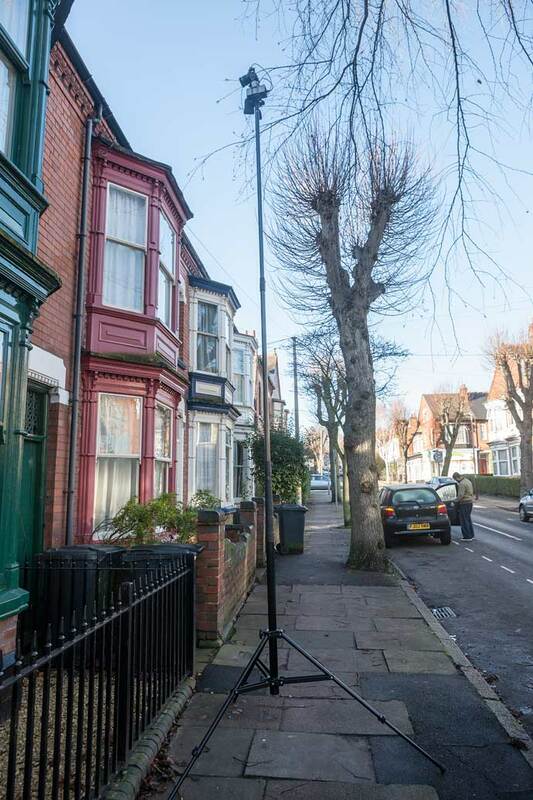 The MegaMast I’m looking at here is a basic tripod stand, with a central section of carbon fibre tubes that extend up a fair way, as you can see in this view taken outside my house. The stand comes in a soft padded carrying bag (black of course) and weighs under 7kg. I note that the maximum load is at full extension, but is enough as it is to take the weight of my Canon 1Ds3. 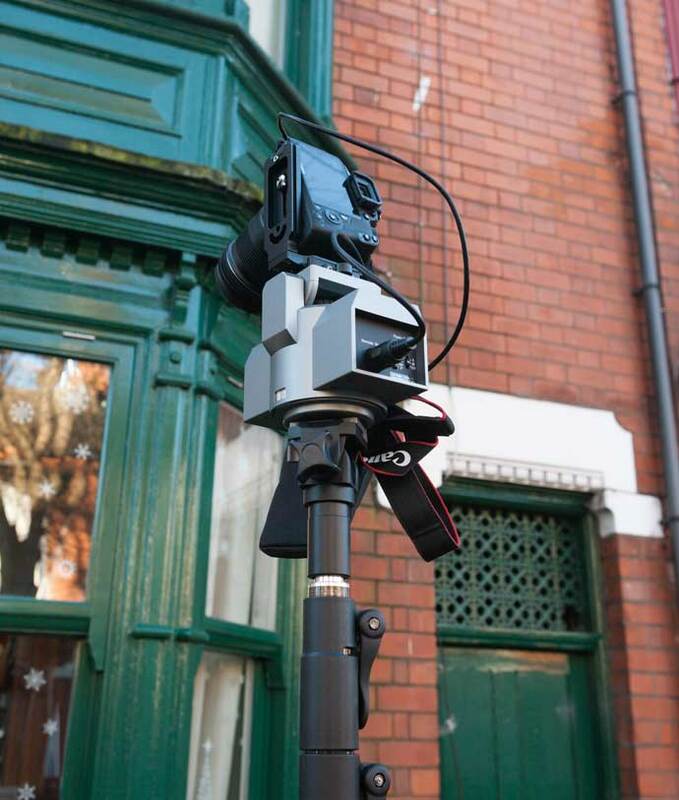 In the examples here, I’m using my much lighter Canon 100D, controlled via a CamRanger unit and MP-360 motorised head. 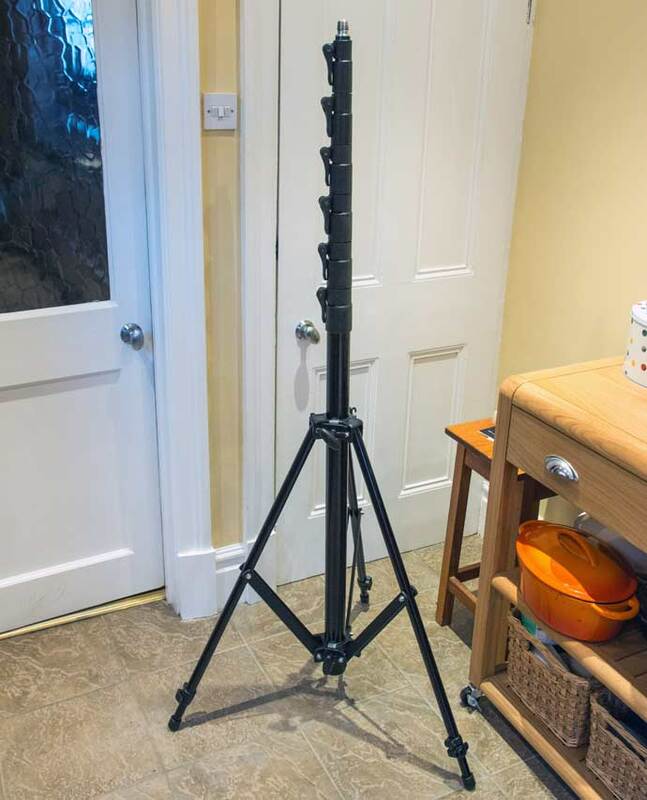 It’s just like a very much more solidly built version of my lighting stands. The top has a tapered threaded fitting. 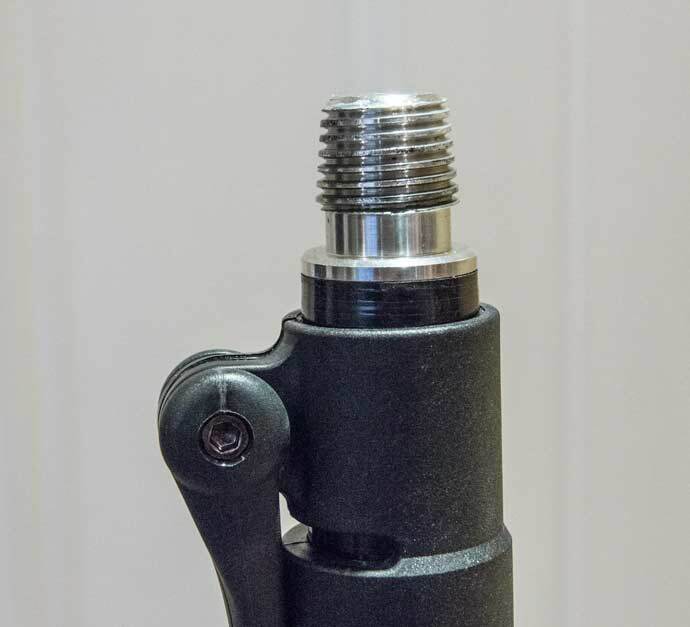 The taper makes it much easier to fit the tilting head and less likely to cross threads or otherwise damage the fittings. 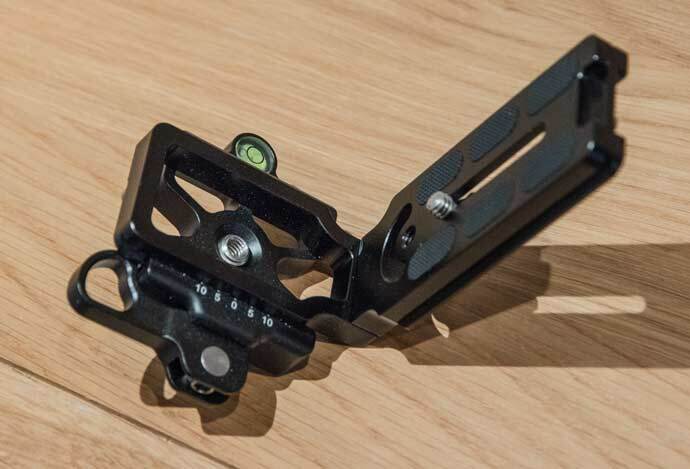 The head takes a standard quick release plate (1 supplied) and has a reassuring solidity to it. Carbon fibre is strong, but relatively easily damaged (compared to aluminium), so it’s good to see very solid clamps. I believe the hooks are related to the additional stability mechanism – attaching lightweight guy strings for example? This review is about my initial testing, so I’ll have to see what the stand is like in use to comment further. I decided to start out with some photos of the street outside of my house. 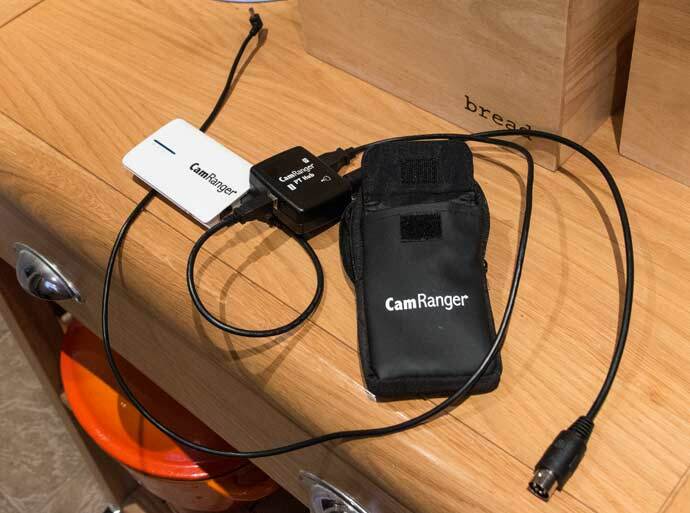 The CamRanger unit allows me full wireless control of my camera, and motorised head. The control unit sits in the bag and is securely attached to my camera mount plate. 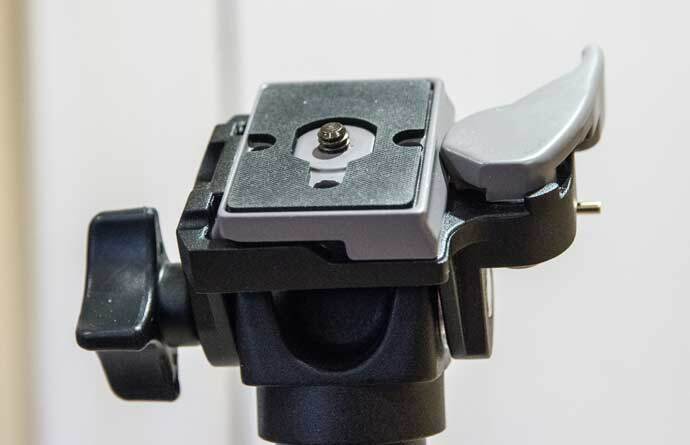 The mount is an Arca style mount, with an ‘L’ plate for positioning the 100D in portrait orientation. Here’s the camera connected up ready for testing. Note how the legs extend, giving extra stability and a means of adjusting for uneven ground. 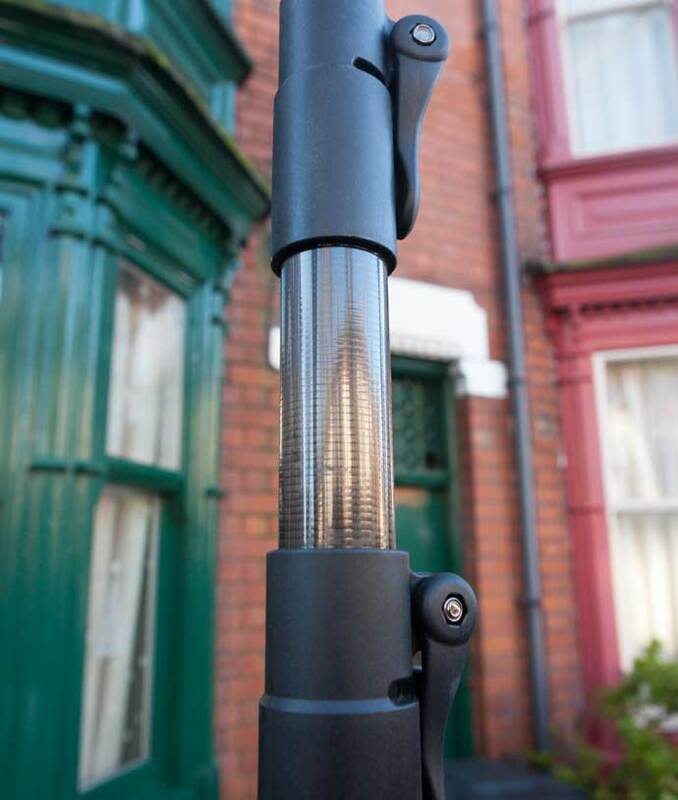 The carbon fibre tube sections all move quite freely, and the locking grips have a solid feel. 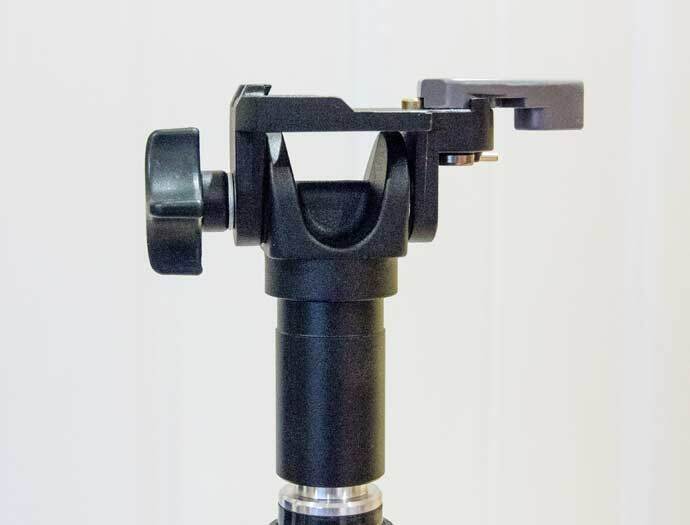 The camera unit (after switching on and testing for a connection to the iPad) is fitted. 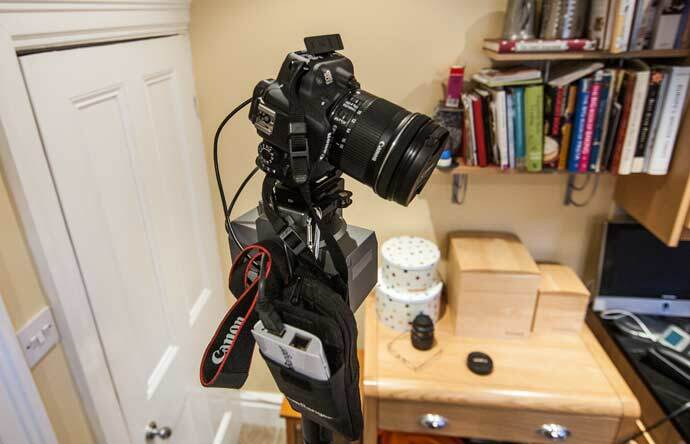 Even just the first section takes the camera to a useful height. 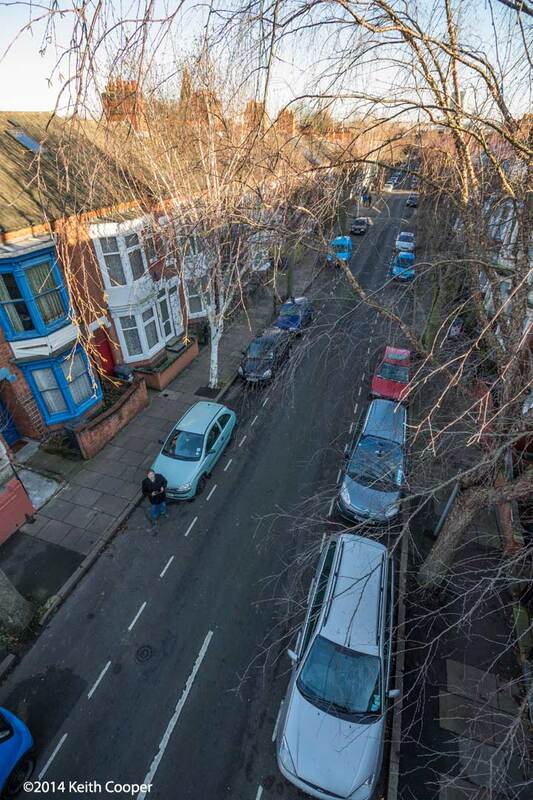 The view from the mast – I’ve full control over the camera, with liveview and autofocus. Another section and all is solid. At only three sections it’s getting a very different view. Note that the lean is because I’m tilting the camera upwards. It is actually perfectly vertical. At full height I can see the frost on the slates of our roof. 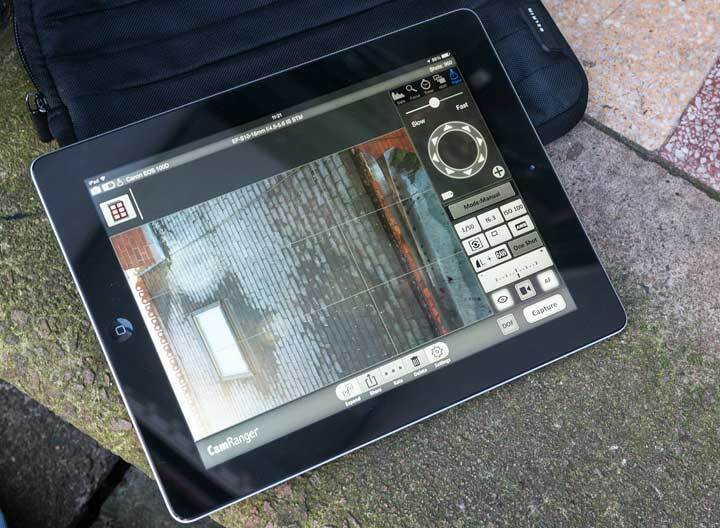 I’ve looked at some other aspects of the CamRanger when seeing how X-Rite’s ColorTRUE colour management solution for the iPad was implemented. 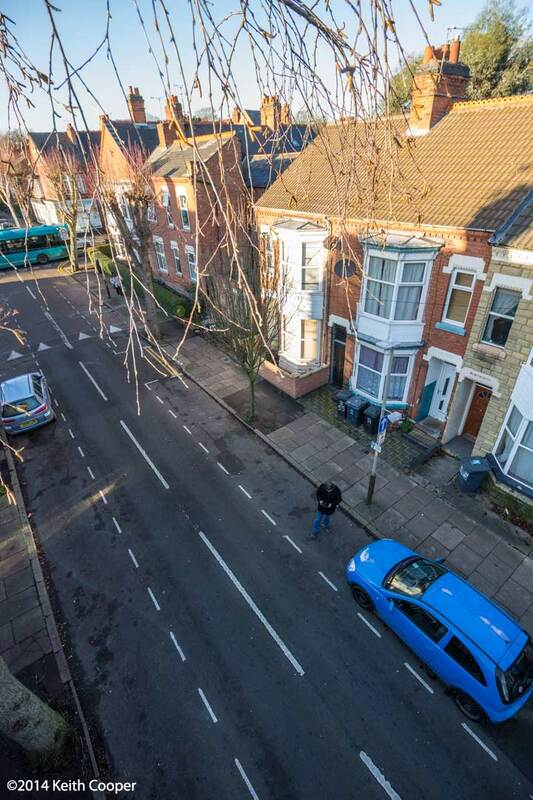 I’ll finish off with a couple of views of our street, taken from the full 28 feet. 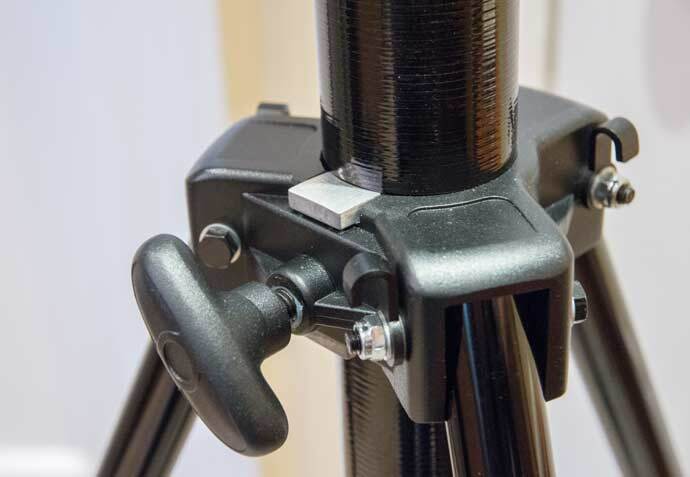 A very well made and sturdy camera stand that gives quick access to elevated photography for when I want it. 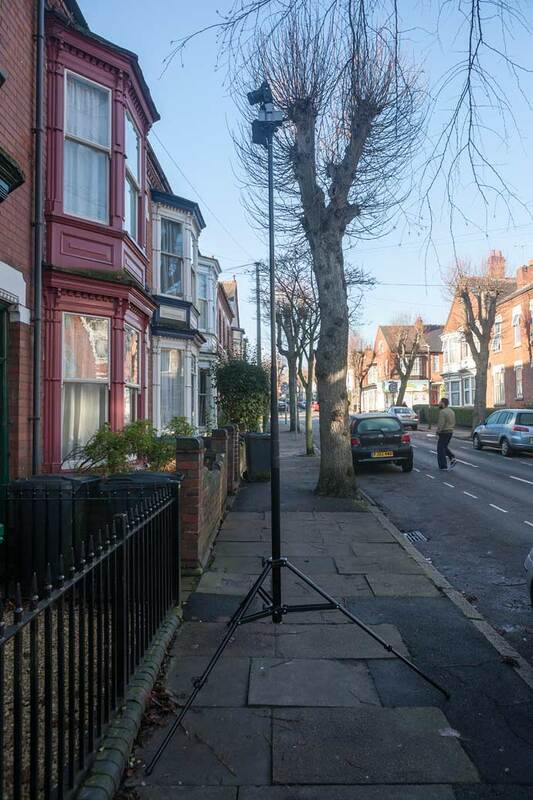 For its height (over 8m) the stand is light enough to be easily portable, particularly in the supplied bag. Buying the Megamast (US only) – if you buy a Megamast via our link, we get a small affiliate payment that helps support the site. No cheaper I’m afraid.